Oriental flying gurnard (Dactyloptena orientalis) on a reef. Flying gurnards have long spiny fins with blue phosphorescent tips (seen here), which they use to scare away predators. 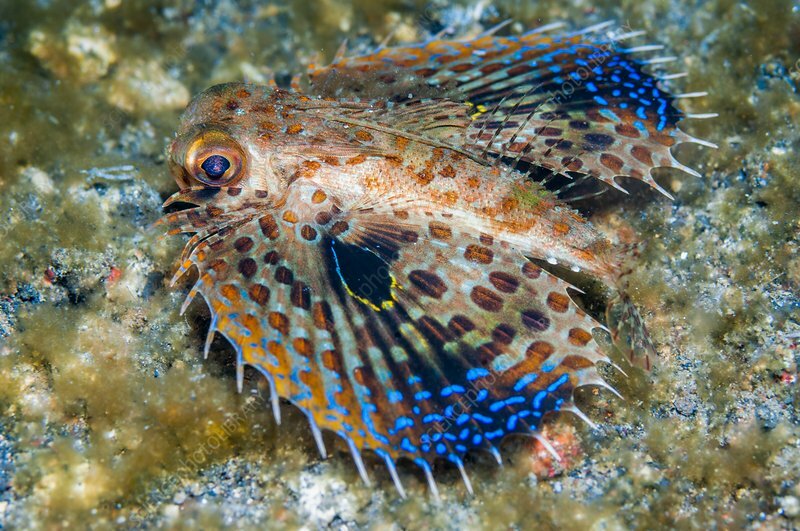 The Oriental flying gurnard is widespread throughout the tropical waters of the Indo-Pacific region including the Red Sea. Photographed in the Lembeh Strait, North Sulawesi, Indonesia.